ALBANY, NY – #YogaPalooza, the Capital Region’s first street-wide mass yoga event, will kick off Pearlpalooza on Saturday, September 16. 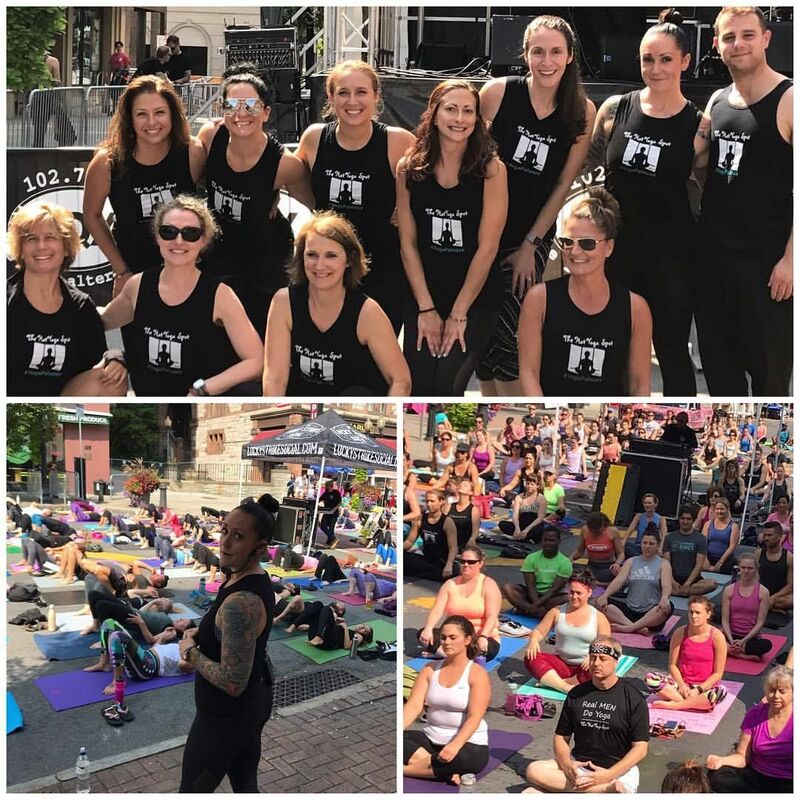 The annual downtown Albany music festival will begin on a quieter note this year: before the alternative rock gets rolling, #YogaPalooza will offer a free 60-minute, all levels yoga session on N. Pearl Street in front of Pearlpalooza’s Remarkable Liquids Main Stage from 11:00 AM to 12:00 PM. #YogaPalooza is presented by Remarkable Liquids, The Hot Yoga Spot, Warehouse Wellness, The Hollow Bar + Kitchen, WEQX and the Downtown Albany Business Improvement District (BID). A team of instructors from The Hot Yoga Spot will assist attendees while Baptiste certified yoga teacher, Jessica P, facilitates the #YogaPalooza session from the stage. Registration is free; check-in begins at 10:30 AM in front of The Hollow at 79 N. Pearl Street, and includes entry for free giveaways. The Hot Yoga Spot is excited to be involved with Pearlpalooza this year and we can’t wait to host a free yoga class for the community. We’re honored to be part of the day’s festivities and look forward to introducing people to the fun and benefits of yoga with #YogaPalooza. Now in its 7th year, Pearlpalooza will feature free live music on the Remarkable Liquids Main Stage (at N. Pearl & Sheridan) and the O’Connell & Aronowitz Stage (at N. Pearl & Pine) beginning at 1:00 PM. This year’s lineup includes performances from K.Flay, Rubblebucket, Arkells, Colony House, Kimono Dragons, and the winner of the Lucky Strike Social Battle of the Bands.